Mike Elliott is running for mayor of Brooklyn Center. He's 31, a local kid and a political newcomer. 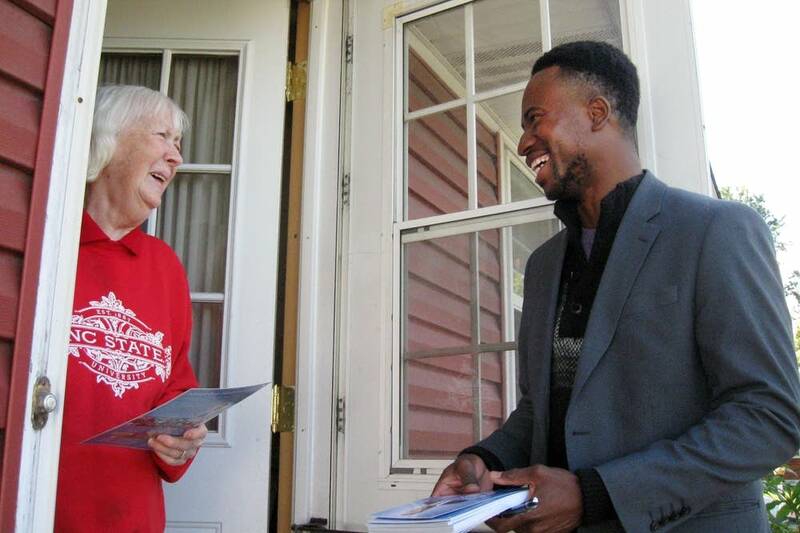 If he's successful in his bid against incumbent Mayor Tim Willson, he will also be the majority-minority city's first Liberian immigrant to hold the office. His candidacy is turning Brooklyn Center's nine square miles into a testing ground for a new, more diverse Minnesota. Almost a quarter of Brooklyn Center's roughly 30,000 residents are foreign-born. 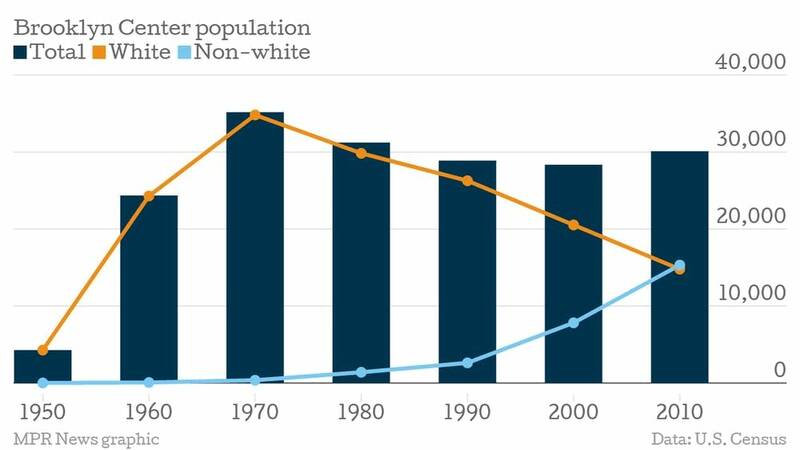 As of the most recent census, the city's black, Asian and Latino residents have outnumbered its white residents, a first in the Twin Cities. But Brooklyn Center's elected leadership doesn't reflect the diversity of its residents. Mike Elliott says he wants the city's residents to re-envision what kind of jobs and businesses Brooklyn Center should develop, and how their schools should prepare students. Elliott emphasizes his local credentials: His family emigrated from Liberia when he was 11. He was educated in the local public schools and graduated from Hamline University. He's an entrepreneur who created a mentoring program at Brooklyn Center High School. "We can start to do things differently here to bring people together," he said, "and I think that's where my strength lies uniquely, compared to the current mayor." As he campaigns, sometimes he doesn't even have to do the talking. At the Brookdale Library last week, Roberta Martin, herself an immigrant from Ghana, made the pitch to Koffi Nyanavo, originally from Togo. "The guy has some experience, and you as an African must support your fellow African man. Alright?" said Martin. "I'm a big-time supporter. So I'm telling you to do that. ... And very soon, tell your friends." Nyanavo, who's not yet a citizen, can't vote. 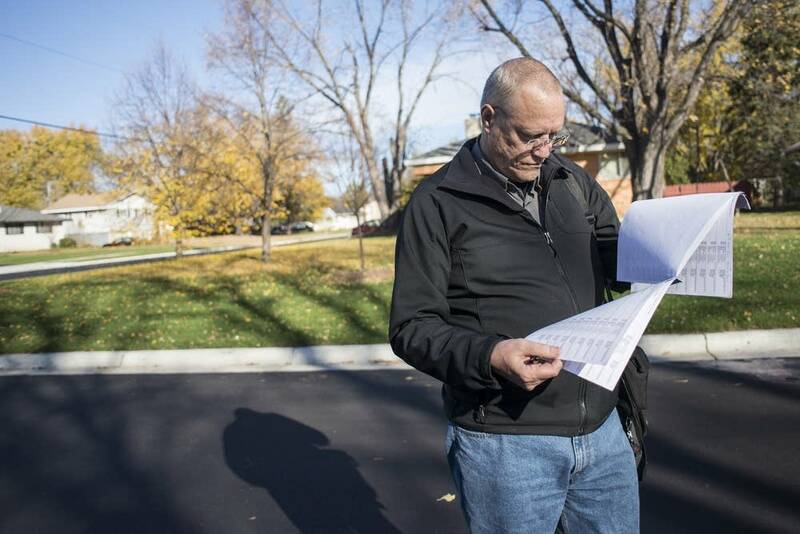 But just over half of Brooklyn Center's foreign-born adults are naturalized citizens, and will be eligible to vote in the Nov. 4 mayoral election. Mayor Tim Willson, 61, is running for his third term. In his day job, he is chief technology officer for Minnesota Management and Budget. The mayoral role, at a salary of $11,846 per year, is a job on top of a job. Willson is focusing on economic redevelopment, crime reduction and capitalizing on diversity. Four years ago, he won re-election easily, and he says he's built a strong record during his eight years in office. "There seems to be a good feeling within the city that the mayor's doing a good job, the council's doing a good job and that the city's moving forward, it's redeveloping, it's growing again," he said. He points to the redevelopment of Brookdale Mall as Shingle Creek Crossing and the new headquarters for the Minneapolis FBI division as two successful projects. Willson grew up in the small southern Minnesota town of Kasota, and moved to Brooklyn Center a few years before Elliott and his family arrived. He said the suburb, which grew up in the 1960s, has been "turning over" in the last decade. Many of its new residents are immigrant families drawn to Brooklyn Center's affordable housing. It has become a hub for the local Liberian community, along with its neighbor to the north, Brooklyn Park. Willson and his senior staff have traveled to Liberia. They hosted the country's president and vice president in 2009 and 2011. But there have been growing pains alongside the influx of new residents. Police Chief Kevin Benner points to a 2007 incident as a turning point for a community coming to grips with its evolving makeup. A confrontation at a Liberian adult-league soccer game led to a shooting that injured a 10-year-old and two adults, all bystanders. "Members of community and law enforcement were fed up with this nonsense and this nonstop violence," Benner said. "And within 24 hours we had leaders within the Liberian community that came forward and said, 'We're sick of this too. We need to start working together.' Since that time, we haven't had any incidents." Benner said a cadet program is helping to build more diversity on Brooklyn Center's police force. Only four of the city's 47 sworn police officers are nonwhite. None are Liberian. The city manager and the fire chief are African-American. 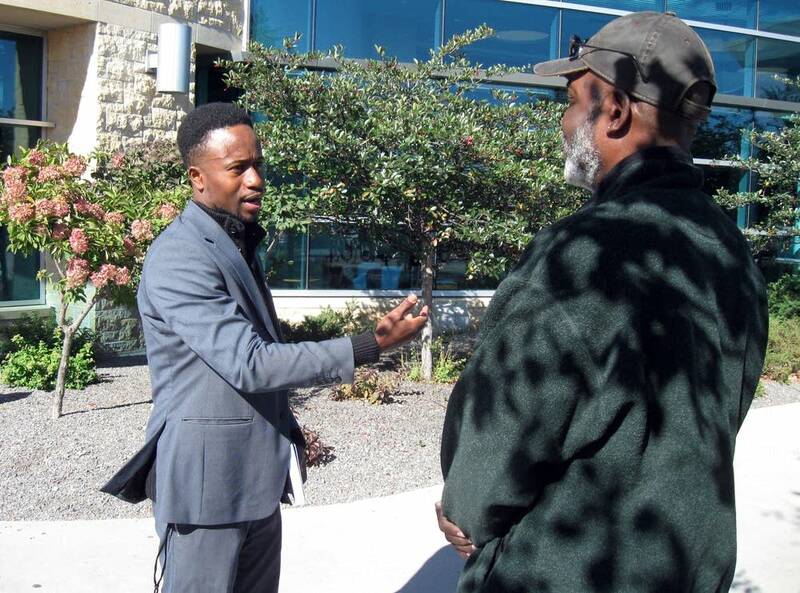 Abdullah Kiatamba, who runs nonprofit advocacy group African Immigrant Services, said that while race relations in Brooklyn Center are alright, he'd like to see more diversity in its elected leaders. "The game-changing reality is these communities have solutions," Kiatamba said. "Find solutions with us, not find solution for us — because what that does is create the perceptions and feeds into the dominant narrative that one community is the problem and one community has the solution." During his first two terms as mayor, Willson made a priority of addressing Brooklyn Center's problems with drugs. "You know, you don't expect that stuff in a first-ring suburb," he said. "And it's across all cultures and economic levels." Willson's 23-year-old daughter died of a heroin overdose right after he became mayor. His wife, state Sen. Chris Eaton, successfully pushed for a Good Samaritan law that would encourage faster reporting of suspected overdoses, and to equip first responders with naloxone to counteract a suspected overdose. Willson recently spoke at a White House conference on recovery, and uses his bully pulpit as mayor to educate school children. "'If you're involved in drugs, here's what could happen; here's what happened to my daugher,'" he tells students. "And I think that message is there. It's a little raw, at times, for the kids, but I think they understand." Elliot says he is also concerned about the future of Brooklyn Center's children. "Kids are failing reading, math, or science, or a combination," he said. "That's not good." According the Minnesota Department of Education's Report Card, 20 percent of Brooklyn Center's secondary students are proficient in math, 22 percent in science and 29 percent in reading. 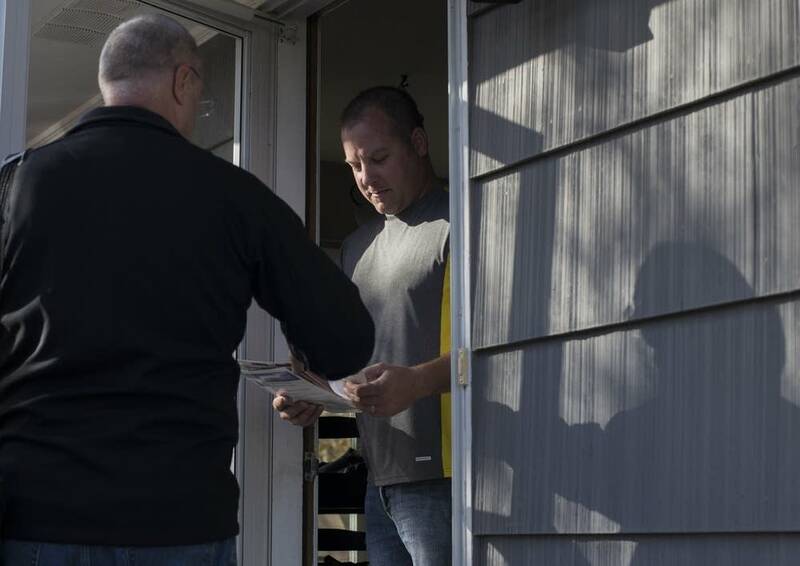 When Brooklyn Center's voters head to the polls on Election Day, they'll be faced with a ballot both familiar and new. How they mark it will help chart the path of one of the Twin Cities' most diverse inner suburbs — one that State Demographer Susan Brower points to as a barometer for the rest of the state. "Brooklyn Center is an indicator of the demographic direction Minnesota is heading, but it is much further down the road toward racial and ethnic diversity than the state overall — and even the majority of cities in the state."